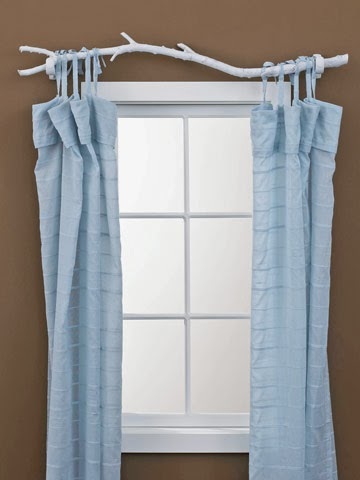 This curtain rod is so cool! Love this lamp shade. It's unique and very easy to do. Have you tried making home decors using materials that can be found in your backyards? I do! I used to recycle empty Coke bottles and other stuff that I can find from my house. Normally, I would love to make planters and desk organizers. 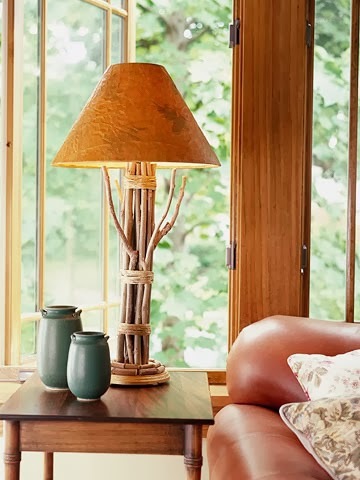 I chanced upon these photos online and it really excites me because apart from empty plastic bottles, the next thing that I would love to use for home decors are twigs, bamboo sticks and drift woods. I like that it has a natural effect on the overall view of the house. It's nature inspired and it gives you a perception of calmness and peacefulness. I am currently preparing a list for my weekend projects and I hope that i would still be able to make it despite my very busy schedule. Stay tune!